It’s no secret that this country is in the midst of an opioid crisis. It’s easy to look at the statistics but think that it will never happen to your family — until it does. According to DrugAbuse.gov, 18 million Americans over the age of 12 have misused medication at least once in the past year. Access to these medications often comes from a familiar source — the family medicine cabinet. This is why it is so important to dispose of unused or unwanted medications so that they don’t fall into the wrong hands. While many people recognize the importance of drug disposal, not everyone is familiar with the proper way to dispose of them. Unfortunately, people are still flushing medicines down the toilet, pouring them down the drain, throwing them in the trash, or worse. This results in damage to our environment, drug diversion, or the risk of it being misused. 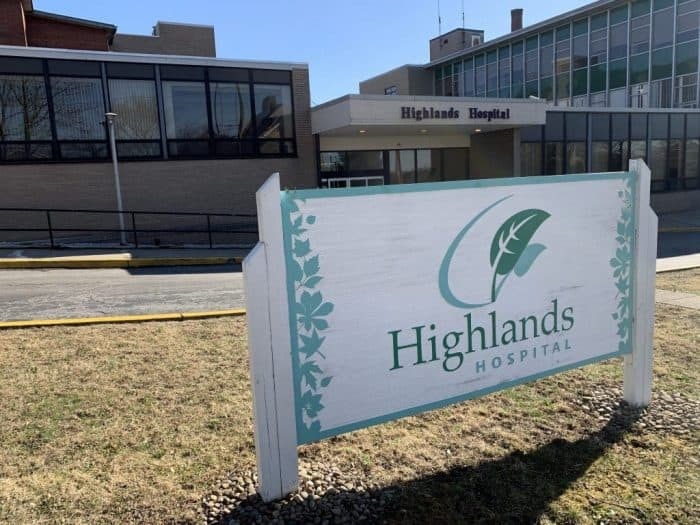 To help spread awareness about the dangers of unused medications as well as to encourage safe disposal of medications, Saturday, April 27th 2019 has been designated National Prescription Drug Take-Back Day. 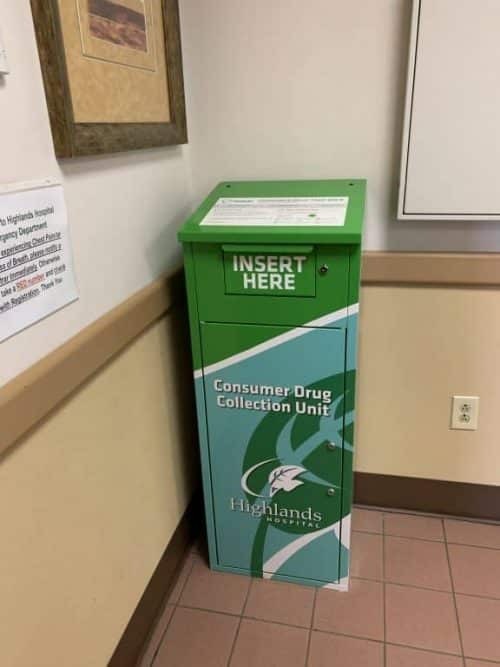 Locations around the country are offering free medication disposal. However, one or two days aren’t enough. That is why the LifeInCheck Consumer Take-Back Program exists. Recently, Ryan experienced some issues with insomnia. To try and provide some relief, the doctor prescribed two different, very powerful sleep medications. After the insomnia issue resolved, Ryan was still left with bottles full of pills. Of course, we didn’t want to risk these medications mistakenly falling into the hands of our young children. 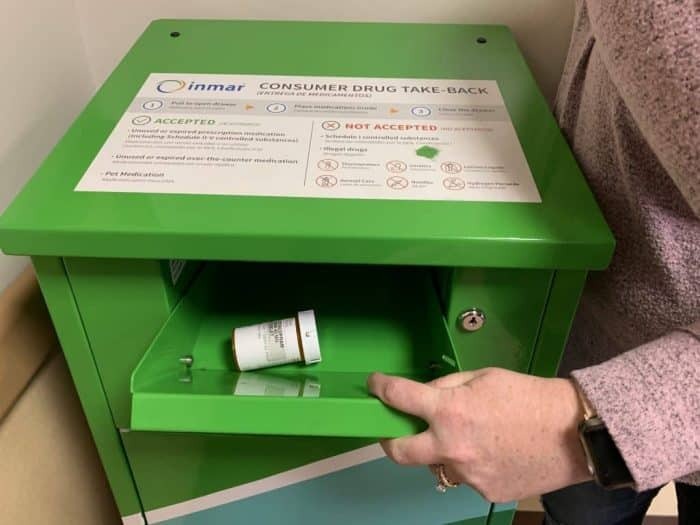 This is why it was important for us to find a safe drug take-back location. I used the LifeInCheck website to locate the nearest LifeInCheck Drug Take-Back receptacle. 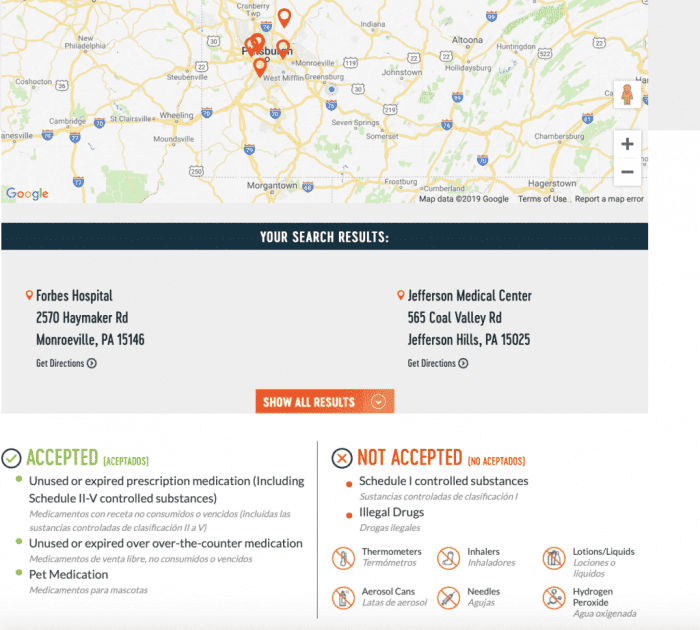 All you have to do to use the site is enter your city and state or zip code along with a search radius and you’ll find a list of safe drug take-back locations in your area. There was one at a nearby hospital so we decided to take the prescriptions there. 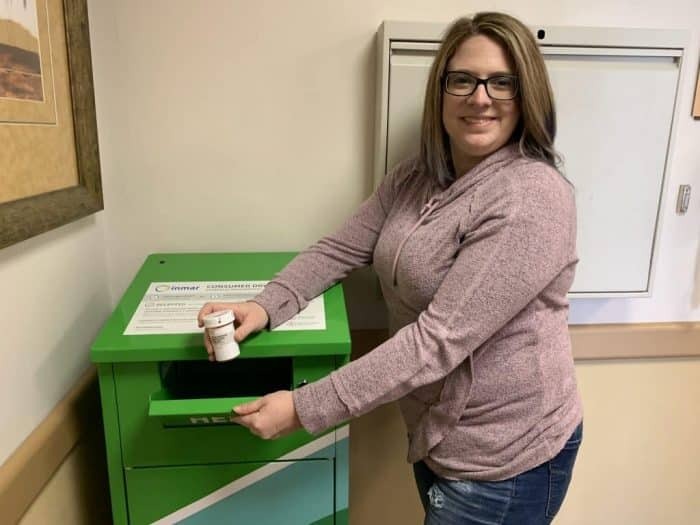 I love that LifeInCheck created the Consumer Take-Back Program because it gives people the safe option to dispose of medications. Plus, it is super easy and convenient. Just open the drawer in the receptacle, place the medications inside, and close the drawer. It’s easy, safe, and discreet. 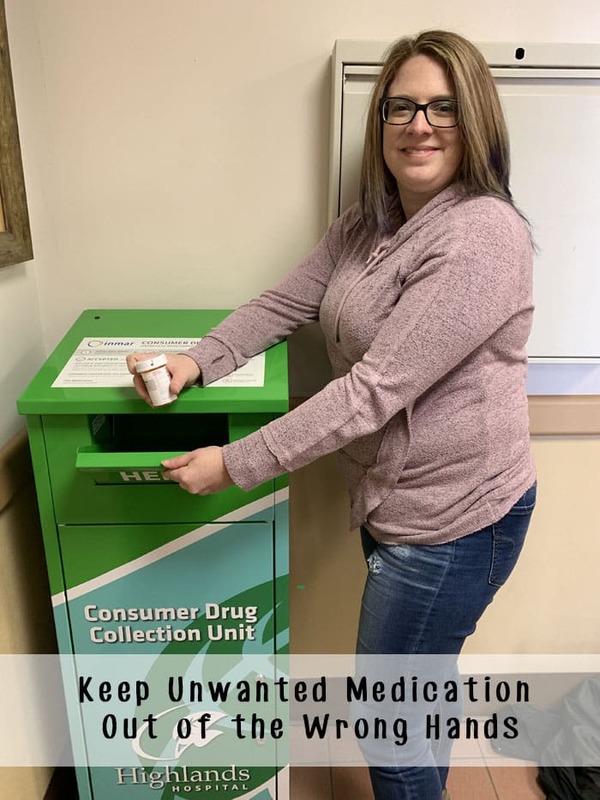 You can dispose of several different types of medications: unused or expired prescription medication (Including Schedule II-V controlled substances), unused or expired over-the-counter medication, and even pet medications. 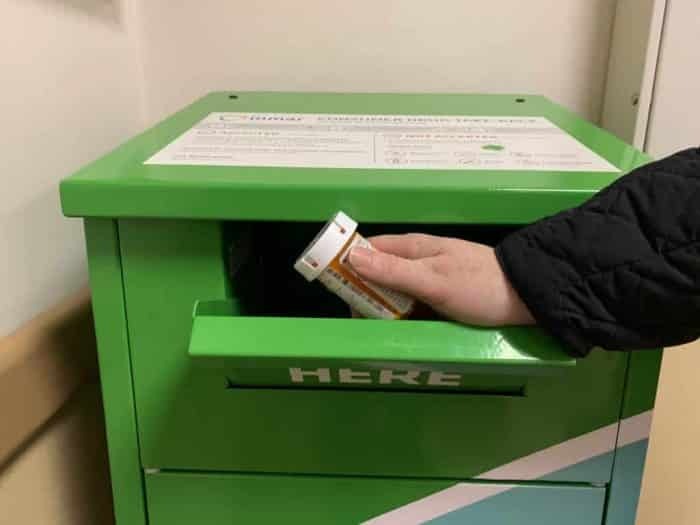 To do your part in battling the opioid crisis, be sure to check for your nearest LifeInCheck Drug Take-Back receptacle and dispose of any unused or unwanted medications.